Will Barton: "I Need to be Around the Guys"
He needed the team as much as the team needed him. “I don’t really like being alone,” said Barton in his first comments to media since injuring his hip/core on Oct. 20. “When you’re injured it’s easy for you to go the opposite way because you feel left out and you’re not playing. Me, I need that team camaraderie. I need to be around the guys even though I’m not playing just to let them know I’m still in the fight. Barton said he’s leaned on family and friends to get him through it. Barton, the Nuggets starting small forward, hopes the time until his return is shorter rather than longer. But he gave no timeline on his possible return, saying he’d play whenever he was cleared by team doctors and trainers. He was averaging 16.5 points, 5.0 rebounds and 3.0 assists while shooting 57 percent from the field and 55.6 percent from the 3-point line when he went down. Nuggets coach Michael Malone has been vocal about insisting Barton’s presence around the team has been a boost. His thoughts on the Nuggets 9-2 start? 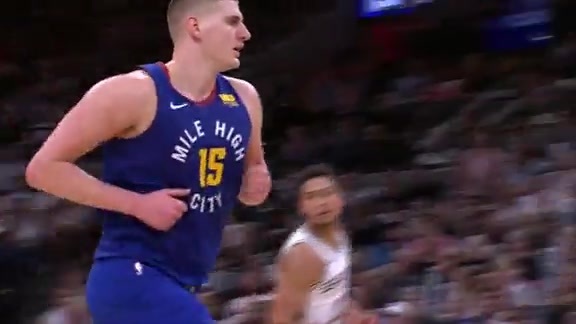 On Nikola Jokic: He’s not in a slump. He’s not in a slump, he’s just not shooting the ball. I tell him that all the time. With Nikola – and I think we’ve been doing this the last two years – when he has these stretches where he doesn’t shoot. I just try to tell him. And I think I’ve told you guys before, it’s not about his shot attempts. It’s about him being a threat, looking at the rim, looking like he’s being aggressive. Because, shot attempts, that doesn’t mean anything. You can shoot bad shots and you still got up a lot of shot attempts. With him it’s just ‘let me look at the rim.’ Because he’s so versatile, he’s so much of a threat on the court that when he looks at the rim, you have to respect so much that he does. I feel the last couple of games he hasn’t been doing that. 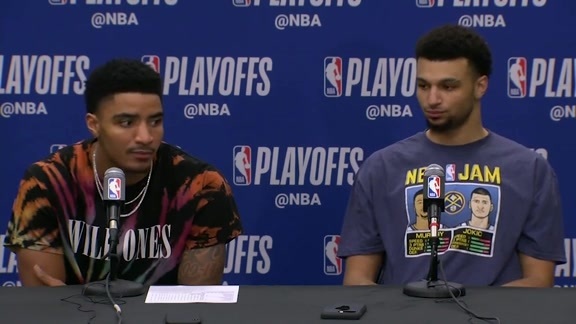 On the Nuggets defense: Guys want to win. When you want to win you know that it comes down to the defensive end. Guy are just buying in and are sick of losing. On if he expected the Nuggets 9-2 record: Yeah, and we can be better. Our record is exactly where I would like it to be right now. But, as us playing I think we can be much better – and that’s scary. On Jamal Murray’s 48-point night against Boston: Oh, it was crazy. I’m still mad that he didn’t get 50, but he was in a zone, man. It’s just fun to watch. A guy like me, I get motivated from it. It’s like, ‘dang, he went and did that, maybe I got to try to get. It was inspirational. It makes you want to be better. "Hopefully we’re not in this position again"